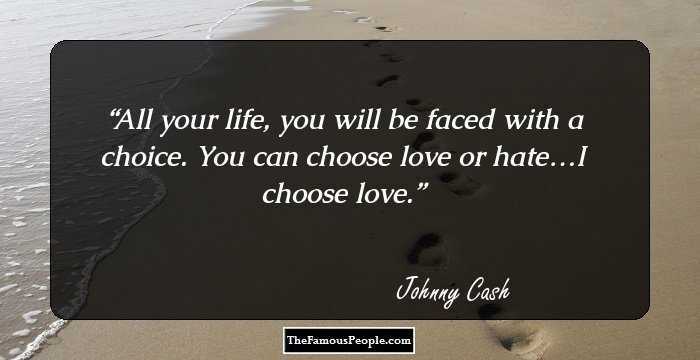 A collection of quotes and thoughts by Johnny Cash on life, work, failure, music, death, time, success, money, love, singing, tide, God and beginning. 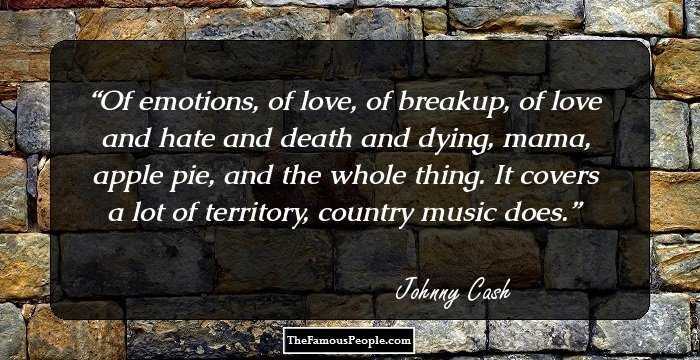 Johnny Cash was a distinguished American actor, guitarist, songwriter, singer and author. He is considered as one of the best-selling music artists of all time with a whopping sales record of 90 million across the globe. He is also considered as the most prominent musician 20th century ever had. He was primarily known for the country music, however, his songs and music also embraced blues, folk, gospel, rockabilly and rock and roll. He received the golden honor of being inducted in ‘Rock and Roll’, ‘Gospel Music’ and ‘Country Music Halls of Fame’ for his crossover. 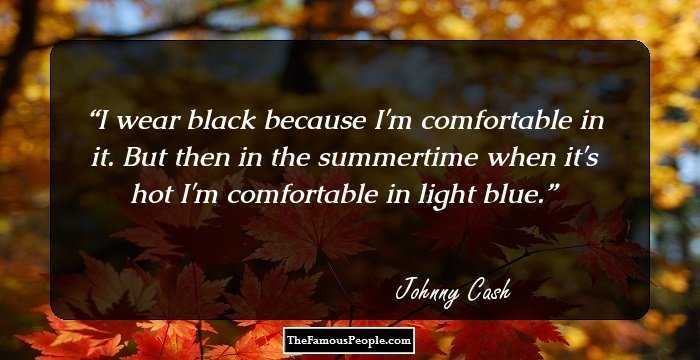 His choice of wearing dark clothing while performing live and singing songs which were based on ‘dark themes’ earned him the nickname of ‘The Man In Black’. His songs echoed about his troubled past and other themes of oddity, redemption, misfortune and pathos. Here are some thoughts and quotes by the renowned artist which have been excerpted from his lyrics, work, views, songs and life. 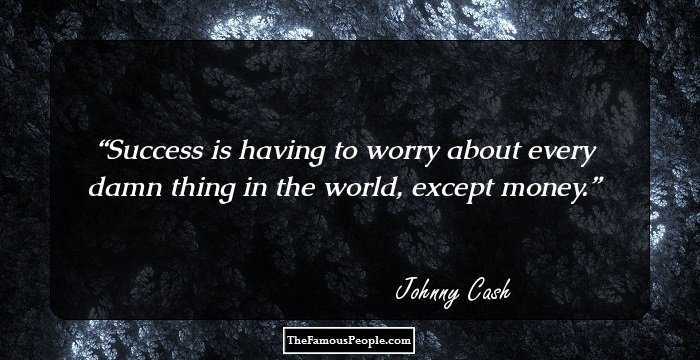 Read through the quotes and sayings by Johnny Cash that will stir you to build on failures. All your life, you will be faced with a choice. You can choose love or hate…I choose love. I wear black because I'm comfortable in it. But then in the summertime when it's hot I'm comfortable in light blue. Success is having to worry about every damn thing in the world, except money. Of emotions, of love, of breakup, of love and hate and death and dying, mama, apple pie, and the whole thing. It covers a lot of territory, country music does. You've got a song you're singing from your gut, you want that audience to feel it in their gut. And you've got to make them think that you're one of them sitting out there with them too. They've got to be able to relate to what you're doing. You've got to know your limitations. I don't know what your limitations are. I found out what mine were when I was twelve. 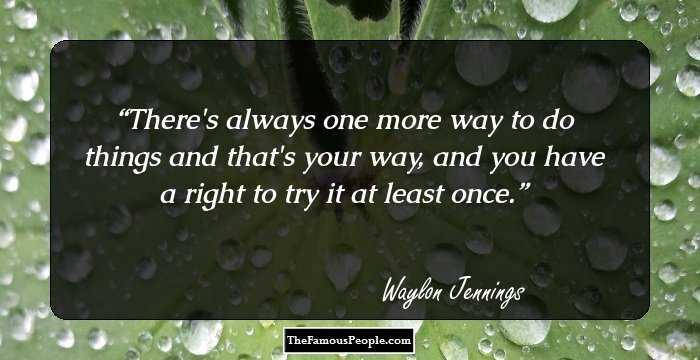 I found out that there weren't too many limitations, if I did it my way. People call me wild. Not really though, I'm not. I guess I've never been normal, not what you call Establishment. I'm country. For you I know I'd even try to turn the tide. I love to go to the studio and stay there 10 or 12 hours a day. I love it. What is it? I don't know. It's life. I'm very shy really. I spend a lot of time in my room alone reading or writing or watching television. I was wearing black clothes almost from the beginning. I feel comfortable in black. I felt like black looked good onstage, that it was attractive, so I started wearing it all the time. How well I have learned that there is no fence to sit on between heaven and hell. There is a deep, wide gulf, a chasm, and in that chasm is no place for any man. That was the big thing when I was growing up, singing on the radio. The extent of my dream was to sing on the radio station in Memphis. Even when I got out of the Air Force in 1954, I came right back to Memphis and started knocking on doors at the radio station. When my wife died, I booked myself into the studio just to work, to occupy myself. God gives us life and takes us away as He sees fit. I am not a Christian artist, I am an artist who is a Christian. I knew I wanted to sing when I was a very small boy. When I was probably 4 years old. My mother played a guitar and I would sit with her and she would sing and I learned to sing along with her. My father was a man of love. He always loved me to death. He worked hard in the fields, but my father never hit me. Never. I don't ever remember a really cross, unkind word from my father. It's like a novelist writing far out things. If it makes a point and makes sense, then people like to read that. But if it's off in left field and goes over the edge, you lose it. 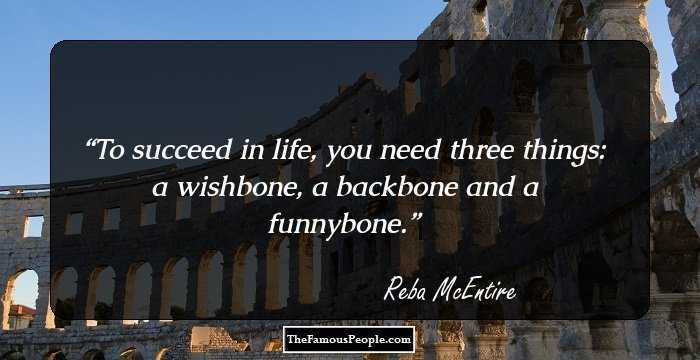 The same with musical talent, I think. I start a lot more songs than I finish, because I realize when I get into them, they're no good. I don't throw them away, I just put them away, store them, get them out of sight. I read novels but I also read the Bible. And study it, you know? And the more I learn, the more excited I get. God's the final judge for Elvis Presley and Johnny Cash too. That's solely in the hands of God. When I record somebody else's song, I have to make it my own or it doesn't feel right. I'll say to myself, I wrote this and he doesn't know it! There's no way around grief and loss: you can dodge all you want, but sooner or later you just have to go into it, through it, and, hopefully, come out the other side. The world you find there will never be the same as the world you left. If you aren't gonna say exactly how and what you feel, you might as well not say anything at all. You have to be what you are. Whatever you are, you gotta be it. I love the freedoms we got in this country, I appreciate your freedom to burn your flag if you want to, but I really appreciate my right to bear arms so I can shoot you if you try to burn mine. Life and love go on, let the music play. Life is the question and life is the answer, and God is the reason and love is the way. Life is rough so you gotta be tough. There is a spiritual side to me that goes real deep, but I confess right up front that I'm the biggest sinner of them all. The Master of Lifes been good to me. He has given me strength to face past illnesses, and victory in the face of defeat. He has given me life and joy where other saw oblivion. He Has given new purpose to live for, new services to render and old wounds to heal. Life and love go on, let the music play. I learn from my mistakes. It's a very painful way to learn, but without pain, the old saying is, there's no gain. We're all in this together if we're in it at all. There's unconditional love there. You hear that phrase a lot but it's real with me and her [June Carter]. She loves me in spite of everything, in spite of myself. She has saved my life more than once. She's always been there with her love, and it has certainly made me forget the pain for a long time, many times. When it gets dark and everybody's gone home and the lights are turned off, it's just me and her. I wore black because I liked it. I still do, and wearing it still means something to me. It's still my symbol of rebellion -- against a stagnant status quo, against our hypocritical houses of God, against people whose minds are closed to others' ideas. I found out that there weren't too many limitations, if I did it my way. No matter how much you've sinned, no matter how much you've stumbled, no matter how much you fall, no matter how far you've got from God, don't give up. You can still be redeemed. As someone says, keep the faith. A rose looks grey at midnight, but the flame is just asleep. And steel is strong because it knows the hammer and white heat. A person knows when it just seems to feel right to them. Listen to your heart. I love songs about horses, railroads, land, Judgment Day, family, hard times, whiskey, courtship, marriage, adultery, separation, murder, war, prison, rambling, damnation, home, salvation, death, pride, humor, piety, rebellion, patriotism, larceny, determination, tragedy, rowdiness, heartbreak and love. And Mother. And God. You can ask the people around me. I don't give up. I don't give up... and it's not out of frustration and desperation that I say I don't give up. I don't give up because I don't give up. I don't believe in it. The ones that you're calling wild are going to be the leaders in a little while. When God forgave me, I figured I'd better do it too. I'm not really concerned about boundaries. I just follow my conscience and my heart. Follow your heart. That's what I do. Compassion is something I have a lot of, because I've been through a lot of pain in my life. Anybody who has suffered a lot of pain has a lot of compassion. It makes me so mad that some people underestimate the wisdom and energy of young people. All because they don't look the way older folks think they should look. I'm working on a song about it. Maybe some of those closed minded people will realize long hair and tattoos don't mean they should be ignored. 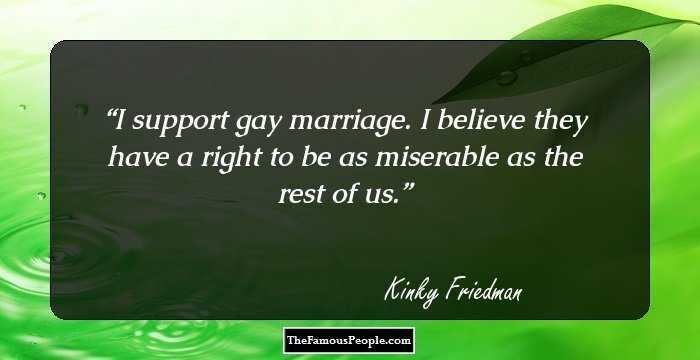 Close minded people are part of what's wrong with this world. We'll all be equal under the grass, and God's got a heaven for country trash. Happiness is being at peace, being with loved ones, being comfortable...but most of all, it's having those loved ones. The gospel of Christ must always be an open door with a welcome sign for all. My arms are too short to box with God. Jesus will not fail me, I shall not be moved. There's a lot of things blamed on me that never happened. But then, there's a lot of things that I did that I never got caught at. You miss a lot of opportunities by making mistakes, but that's part of it: knowing that you're not shut out forever, and that there's a goal you still can reach. The beast in me Is caged by frail and fragile bars. What have I become, my sweetest friend. Everyone I know goes away, in the end. I wear this crown of thorns Upon my liar's chair Full of broken thoughts I cannot repair Beneath the stains of time The feelings disappear You are someone else I am still right here What have I become My sweetest friend? Creative people have to be fed from the divine source. I have to get fed. I had to get filled up in order to pour out. Beneath the stains of time the feeling disappears, you are someone else I am still right here. I shot a man in Reno just to watch him die. You're so heavenly minded, you're no earthly good. Sometimes I am two people. Johnny is the nice one. Cash causes all the trouble. They fight. I'm not bitter. Why should I be bitter? I'm thrilled to death with life. Everybody was wearing rhinestones, all those sparkly clothes, and cowboy boots. I decided to wear a black shirt and pants and see if I could get by with it. I did and I've worn black clothes ever since. When I think about country music, I think about America. They're powerful, those songs. At times they've been my only way back, the only door out of the dark, bad places the black dog calls home. I keep a close watch on this heart of mine I keep my eyes wide open all the time I keep the ends out for the tie that binds Because you're mine, I walk the line. I took the easy way, and to an extent I regret that. Still, though, the way we did it was honest. We played it and sang it the way we felt it, and there's a lot to be said for that. The beer and the wurst were wonderful, but I was dying to be back in the South, where the livin' was easy, where the fish were jumpin', where the cotton grew high. However, neither he nor anyone else could have become the star Elvis was. 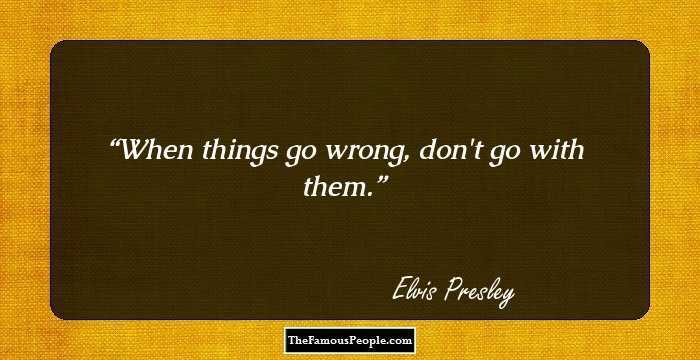 Ain't nobody like Elvis. Never was. Until things are brighter.. I'm the man in black. Loneliness is emptiness, but happiness is you. I have tried drugs and a little of everything else, and there iss nothing in the world more soul-satisfying than having the kingdom of God building inside you and growing.